Gibbs Smith Publishers, 9781423606413, 304pp. Question: I want to write a film script that will make me rich. What should my script be about? 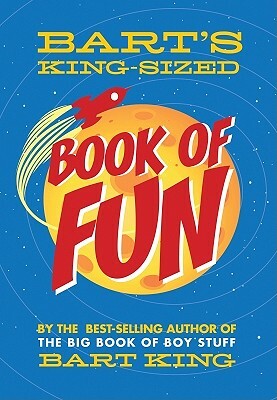 Bart King is the author of The Big Book of Gross Stuff, The Pocket Guide to Magic, The Big Book of Boy Stuff, The Big Book of Girl Stuff, The Pocket Guide to Mischief, The Pocket Guide to Brilliance, The Pocket Guide to Girl Stuff, and The Pocket Guide to Boy Stuff.